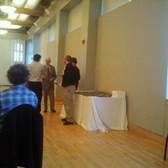 · Melissa Beebe received a JSA graduate fellowship award (5/20/2015). · Lei Wang successfully defended her PhD thesis on 3/19/2015. She is now a postdoctoral researcher at UVA. · Prof. Lukaszew was interviewed after her invited presentations at the recent “Thin Film workshop and new ideas for SRF conductivity” in Padova, Italy (2014). · Kaida Yang successfully defended hi PhD thesis on April 14, 2014. He continues OPT training in our group. · Will Roach successfully defended his PhD thesis on August 6, 2013. He has accepted a visiting professor position at Lynchburg College, VA, starting on the Fall of 2013. · Kaida Yang won a poster award at the AVS Mid-Atlantic meeting at NIST, Gaithersburg, MD, on May 16, 2013. 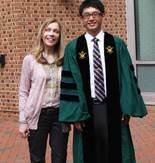 · Lukaszew’s research was highlighted in W&M president Taylor Reveley’s 2011 report. 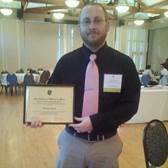 · Graduate student wins award from Mid Atlantic AVS chapter (Jlab, Newport News).